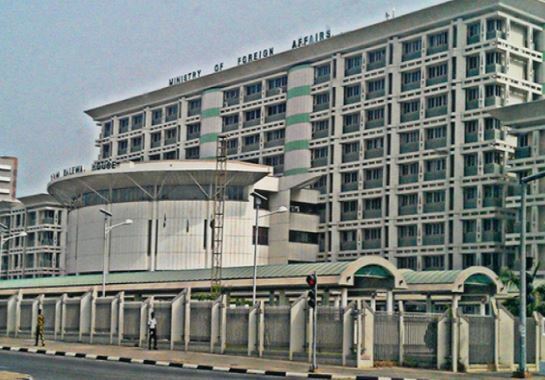 The Ministry of Foreign of Affairs (MFA) is the statutory organ of Government charged with the responsibility for the formulation, articulation, and pursuit of Nigerian foreign policy trust and objectives. These objectives reflect the domestic, political, economic, techno1ogical, social and cultural aspirations of the Nigerian people. The Ministry began as a Department in the Prime Minister�s office in 1957 with a core group twelve officers drawn from across the nation and humorously referred to as the" TWELVE APOSTLES." The first assignment of this nucleus group of foreign service officers was to serve as Third Secretaries and Vice-Consuls in various British embassies and Consular posts worldwide. With the attainment of independence in 1960, the Government established a separate ministry, which was called the Ministry of Foreign Affairs and Commonwealth elations. Prime Minister, Sir Tafawa Balewa personally took charge of the affairs of the Ministry and ran it, from his office. It was not until Nigeria attained the Republic status in 1963 that a substantive Foreign Minister was appointed in the person of late Dr. Jaja Wachukwu and the title of the Ministry changed to Ministry of External Affairs. Later in 1990, the nomenclature of the Ministry changed to Ministry of foreign Affairs. The Ministry has had sixteen (16) Foreign Ministers from Dr. Jaja Wachukwu to Ambassador Oluyemi Adeniji, sixteen Ministers of State from Dr Abubakar Usman to Aihaji Abubakar A. Tanko and a total of eighteen (18) Permanent Secretaries from Ambassador L.O.U. Anionwu to Ambassador N.U.O Wadibia-Anyanwu, nmi. The personnel rose from an initial staff of twelve Foreign Service Officers in 1957 to close to two thousand staff at present apart from the staff of the Executive Cadre and the cadres of other services. It has fifty four (54) Directors, making it the largest in terms of Directors in the Federal Civil Service. To build an efficient Directorate that is knowledge based, technology driven in service delivery in pursuit of Nigeria National interests, especially in fostering South-South Cooperation through the provision of Development Assistance to African, Caribbean and Pacific countries (ACP). Committed to the pursuit of implementing the provisions of the status as well as ensuring the attainment of the objectives of the Scheme, the Directorate of TAC which is a parastatal of the Ministry of Foreign Affairs is responsible for the overall management and general administration of the scheme; conduct of recruitment and orientation exercises for volunteers, deployment of volunteers to recipient countries and debriefing of volunteers on their final return to the country. Prevention, Management and Resolution of Conflicts in troubled spots in Africa, particularly West Africa. Respect for International Law and treaty obligations as well as the seeking of settlement of international disputes by negotiations, mediation, conciliation, arbitration and adjudication and promotion of a just world economic order. CONSCIOUS of the Directorate�s vision and Mission statement. CONVINCED that in this era of International Cooperation and Integration, assistance in the area of technical know-how and the internalization of our professionals is in tandem with the realization of our national interest. Input to policy - Prepare timely briefs, draft speeches and statements for use of the HMFA, HMOS for FA and Permanent Secretary on TAC related matters. Consular Service - Procurement of official passports and visas to the volunteers. In the case of emergencies like war and natural disasters or serious illness that cannot be treated locally, evacuates the affected volunteers earlier to safety or for treatment in Nigeria. Generation and Sustenance of Goodwill - facilitate interaction between the volunteers and the people of the recipient countries � (ACP countries) in order to establish and secure goodwill towards Nigeria and Nigerians. Development of frameworks to guide relations - Initiate, articulate, negotiate and sign agreements with volunteers on one hand and the recipient countries on other hand, on behalf of the Federal Republic of Nigeria, in order to establish legal structures to enhance an effective realization of the TAC objectives. Directorate�s Standing Committee on Enforcement of Discipline and TAC Desk officers in our Diplomatic Missions. The Directorate of Technical Co-Operation in Africa (DTCA). Plot 894, No. 11 Onitsha Crescent, Area 11. P.M.B.557, Abuja. Central Business District, Abogo Largema Street, Abuja.